A “provocative reconstruction of John F. Kennedy’s ‘five-year campaign’ for the White House” (The New Yorker), beginning with his bold, failed attempt to win the vice presidential nomination in 1956 and culminating when he plotted his way to the presidency and changed the way we nominate and elect presidents. John F. Kennedy and his young warriors invented modern presidential politics. They turned over accepted wisdom that his Catholicism was a barrier to winning an election. 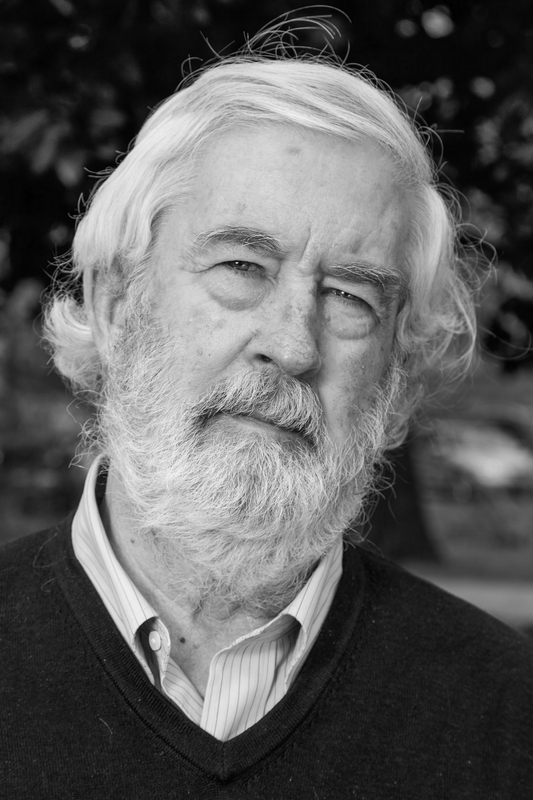 They hired Louis Harris to become the first presidential pollster. They twisted arms and they charmed. They turned the traditional party inside out. They invented The Missile Gap in the Cold War and out-glamoured Richard Nixon in the TV debates. Now “Thomas Oliphant and Curtis Wilkie, both veteran political journalists, retell the story of this momentous campaign, reminding us of now forgotten details of Kennedy’s path to the White House” (The Wall Street Journal). 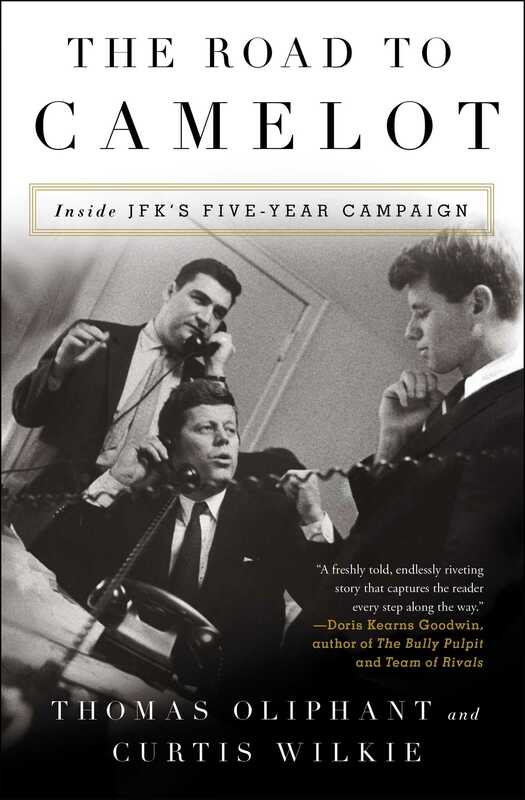 The authors have examined more than 1,600 oral histories at the John F. Kennedy library; they’ve interviewed surviving sources, including JFK’s sister Jean Smith, and they draw on their own interviews with insiders including Ted Sorensen and Arthur Schlesinger, Jr.
From the start of the campaign in 1955, “The Road to Camelot brings much new insight to an important playbook that has echoed through the campaigns of other presidential aspirants as disparate as Barack Obama and Donald Trump. The authors take us step by step on the road to the Kennedy victory, leaving us with an appreciation for the maniacal attention to detail of both the candidate and his brother Robert, the best campaign manager in American political history” (The Washington Post). “A must-read for fans of presidential history” (USA TODAY), this is “an excellent chronicle of JFK’s innovations, his true personality, and how close he came to losing” (Kirkus Reviews, starred review). Senator Lyndon B. Johnson’s heart attack hit him on July 2, 1955, while he was visiting a businessman friend and benefactor in the Virginia horse and estate country west of Washington. President Dwight D. Eisenhower’s came barely ten weeks later, on a late September evening while he was visiting his in-laws near Denver. This unprecedented cardiac double-header was medically no minor event. Johnson was kept in the U.S. Naval Hospital just outside Washington for seven weeks and didn’t resume his frenetic work schedule until December. Eisenhower remained in Fitzsimons Army Hospital in nearby Aurora, Colorado, for seven weeks and wasn’t working at his accustomed pace until after the New Year. The shock to the country’s governance and politics was similarly severe. Eisenhower was felled as he was beginning to gear up for what most observers assumed would be a relatively easy run for reelection in 1956. The war hero and America’s thirty-fourth president was popular and not without major successes in his first term. Now, suddenly, his future was in doubt. Johnson was a rookie, having become the Senate’s majority leader only that January, after the Democratic Party regained control of the Senate in the previous year’s elections, but he had been learning the ropes of leadership for nearly twenty years. His dreams of the presidency were only dreams; first he had a Senate to run. But now his doctors kept him from the work he loved. In the twenty-first century it is commonplace for heart patients to be up, active, and working within weeks, often days. This wasn’t the case in 1955, when long recuperations predicted long-term disability. In his forties and clearly recovering, Johnson was still robust, but doubts about the health of the sixty-five-year-old Eisenhower persisted for months. One man among the millions concerned about Eisenhower’s health and future was Joseph Patrick Kennedy, no ordinary man and no ordinary superrich tycoon. He had been around big-time politics for more than twenty years and involved in local politics in his native Massachusetts all his life. Holding the loftiest of ambitions for his second son, then a freshman senator with no national standing whatsoever—yet blessed by his family name, wealth, and nearly a decade of political success—Kennedy saw opportunity in Eisenhower’s misfortune. Being a man of bold action, often rash, he hatched a plan and set out to make it happen. With the agreement of his son John Fitzgerald and the knowledge of other members of his large family, Kennedy approached Johnson. He knew Johnson well and had supported him financially as he rose to the apex of the Senate. To underline his seriousness, Kennedy enlisted as an emissary one of Washington’s most effective lobbyists, Thomas G. Corcoran, comfortably ensconced in his second career after service as one of the important members of Franklin D. Roosevelt’s White House staff. Kennedy’s message was simple and over-the-top presumptuous: With Eisenhower hospitalized, the architecture of the 1956 election has been changed. You should run for president. I will make sure your campaign never lacks for lavish financing. And my son will be your running mate. There is no evidence that Johnson seriously considered Kennedy’s offer and no plausible argument that he should have. To Corcoran and to Kennedy, Johnson simply said he wasn’t interested, that he wasn’t running. There is also no evidence that Kennedy and his son did anything more than let the matter drop quietly, though according to Corcoran there was an outburst from younger brother Robert Francis—still evolving as a young adult but already known for his temper and grudges—over Johnson’s quick dismissal of his father’s overture. Nevertheless the episode reverberated, though not in the way Joseph Kennedy had intended. It represented a spark, the first time national office was the subject of something other than formless ambition and hope and talk, and it ignited a five-year quest that culminated in Jack Kennedy’s transformative election as the country’s thirty-fifth president at the young age of forty-three. After that October, every time there was an option on the table involving national office—the vice presidency over the next ten months, the presidency immediately thereafter—Kennedy chose to move forward. His campaign was not a scripted operation but a long, continuous pursuit. At first it was tentative, with Kennedy appearing detached, even doubtful. But by the end of the summer of 1956 Kennedy felt the presidency was staring him in the face. On Thanksgiving that year he made the commitment to start running. One reason Kennedy decided to move forward is that it was the only direction his fortunes could go. In the mid-1950s he was not a consequential figure in national politics. Even after nearly a decade in Congress he was considered more of a socialite and a war hero than a political leader. He had no developed philosophy or ideology, and his Senate contemporaries considered him an indifferent Democrat with occasionally independent tendencies. He was not involved prominently in any great cause or issue and enjoyed no real standing inside the Senate. He was not even the undisputed master of politics in his home state. He was nowhere near the top of any list of Democrats to watch. When assessing him as a politician, the word commentators used most frequently was potential, not power. Kennedy had prepped for his presidential campaign with a bid to get on the 1956 Democratic ticket with Adlai Stevenson. Amid the first stirrings of that race, others were more seriously considered as running mates for Stevenson. Among the more prominent were Senator Estes Kefauver of Tennessee, who had briefly run for president in 1952 and was known nationally for his investigations of organized crime and the drug industry; young Hubert Humphrey, a senator from Minnesota, who had electrified the national convention in 1948 with his fiery attack on Jim Crow while forever antagonizing the Deep South; and there were others. As names began to circulate, Kennedy’s interest grew, stimulated by his father’s short-lived initiative. It flowed as much from his bemused, flattered ambition and his long-standing enjoyment of challenges as from any realistic intention to seek higher office. Still, his interest was genuine. And he had someone close enough to his substantive and political life to meaningfully assist him. One of the very first articles that referred to Kennedy by name as a vice presidential possibility appeared in the fall of 1955 in Newsweek magazine’s Periscope column, a weekly compilation of rumors, gossip, and occasionally hard information that many politicians read closely. Kennedy was curious enough to personally call the page’s editor in New York, Debs Myers, to ask who was doing the mentioning. “Me,” Myers replied, introducing Kennedy to one of the many ways reporters manage to insert their own hunches and views into stories. At the end of 1955, according to Sorensen, Kennedy was thinking of entering the New Hampshire primary three months hence as a New England “favorite son”—a gambit to gain prominence for himself and to hold the delegation for Stevenson. (Kefauver had famously beaten Stevenson there in 1952 and figured to do so again.) 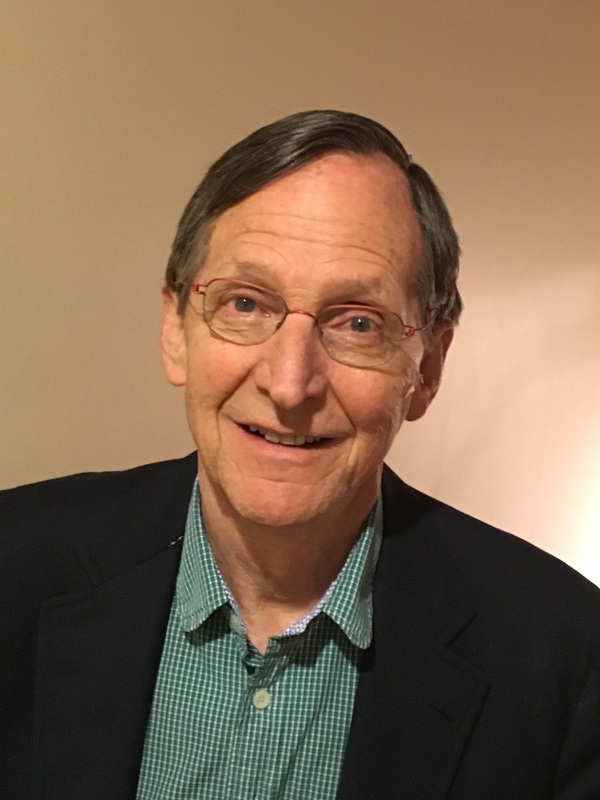 However, that idea was dropped after Stevenson’s campaign manager, a veteran politician from Pennsylvania named James Finnegan, made it clear that he favored an actual endorsement instead, which Kennedy promptly delivered once it was certain that his Senate leader, Lyndon Johnson, had no interest in running for president. But as 1956 began, Kennedy was openly in the mix. He occasionally referred to the situation in public, typically with one of his increasingly notable attributes, his wit. Appearing in January at a testimonial for Senator George Smathers of Florida, a personal friend, Kennedy told a hoary joke about how the Senate held a secret ballot to choose the next president and each senator wound up with one vote. President Eisenhower’s serious heart attack inaugurated a months-long period of doubt about his future as well as his health. He was in the hospital in Colorado for nearly two months and rested at Key West in Florida afterward. Like Johnson, the president was essentially out of commission until the end of the year. What is more, Eisenhower publicly confessed his reservations about seeking a second term, a topic that divided his physicians. It wasn’t until mid-January 1956 that signs of a budding reelection effort began to appear, and it wasn’t until the end of February that the president formally announced that he would run again. In short, Joe Kennedy’s timing was poor. Regardless of Eisenhower’s intentions, the elder Kennedy had hardly offered Johnson an easy road to nomination, much less election. Jack Kennedy’s acquiescence in his father’s plan, moreover, proved to be ill-considered in such an uncertain atmosphere. Eventually his father would turn as sharply negative about his son’s presence on the 1956 Democratic ticket as he had once been ebulliently positive. He now argued, by letter and telephone, that Eisenhower would most likely win and that taking the second spot on Stevenson’s slate would wind up being a career failure for his son. Yet by then Jack Kennedy was comfortable with his own views and prepared to ignore his father’s frequently overstated advice. His competitive family members were accustomed to making their own decisions.